My name is Keith Johnson and subsequent to a stint with Archives+ last year I’ve recently been flying the history/archives flag at Didsbury Library. Tasked with thinking of an idea for a WW1 display, I thought I’d see if any of the names on the War Memorial outside the library had joined the Manchester Pals. Furthermore, I wanted to see how much information I could find on them. This, I thought, would tie the current WW1 centenary to the local community. If I could find plenty of details about one of the names I could hope to create an engaging portrait of how one of Didsbury’s own had devoted himself to the cause, as so many did. Confirmation of his birth place and residence, all his basic military information, and details about his death. This is brilliant, I thought! And furthermore, to the right of the page, links to other information such as his grave details, his entry in the censuses and so-on. 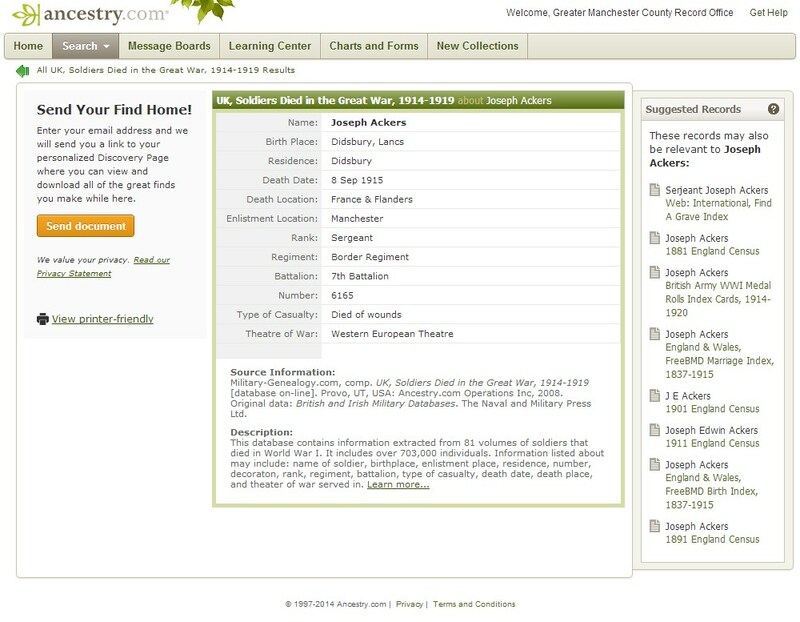 The only downside was that he wasn’t a Manchester Pal, so I decided to move on, narrowing my searches to specifically Military results. These should then take me directly to the information I wanted to know about each soldier above all: his regiment. Again the initial results were poor. The first 7 hits were all wrong. 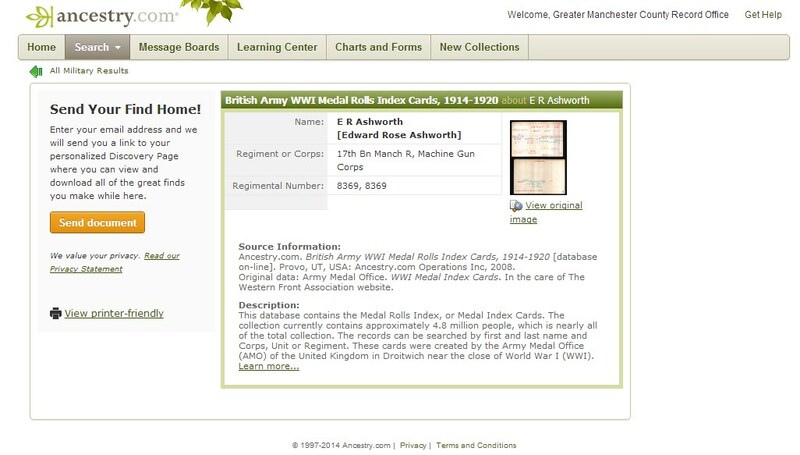 Next was the usual warning: “Note: These records are less likely to match your search but may be helpful.” But then, two entries further down: “British Army WW1 Medal Rolls Index Cards, 1914-1920: E R Ashworth.” No full name, no location. I clicked the link anyway and got something very promising indeed. A possible full name match and a Manchester Pal to boot. Clicking to view the original image yielded an initially dizzying wealth of obscure information. That he had paid the ultimate sacrifice was clear, however: “Died 28.3.18” was written in easily decipherable script half way down on the right-hand side. I still wasn’t certain that this was the same Ashworth as immortalised on Didsbury War Memorial. Yet scrolling down made it clear it must be. His address: “26 Pine Road, Didsbury.” Eureka! I now had his middle name along with everything else, and by digging deeper the information just kept on coming. 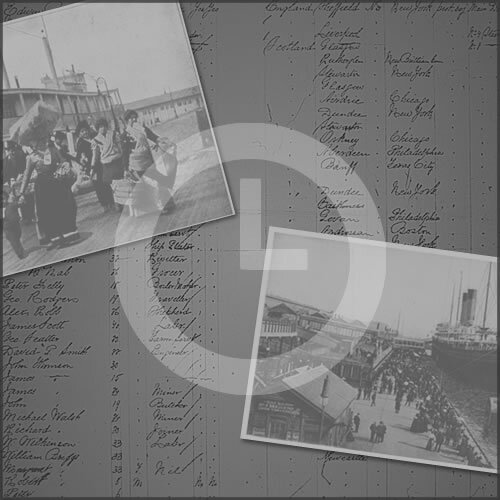 His birth registration, census records, details about his family, where he was buried. I also tried Googling “Edward Rose Ashworth WW1.” Three or four results down was the following link: 5th Machine Gun Coy. – The Wartime Memories Project. Crucially, the highlighted text underneath contained the names of Edward’s parents, which I now knew. Clicking the link, I found a post made by an actual living, breathing ancestor of Edward R. Ashworth. This contained some fantastic details about our man which I would’ve never known otherwise: he was thought to be known as “Edwin” to the family and was a first cousin of the Oscar winning actor Robert Donat. 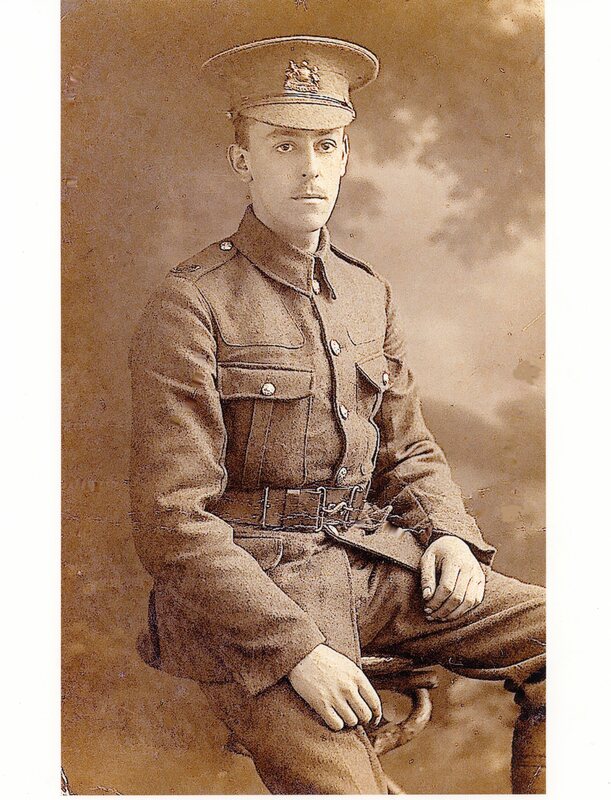 But not only this, the ancestor had originally posted a photograph of Edward/Edwin and a scan of a letter he had written to his aunt during his service. But the links to these were broken and try as I might, opening the page in different browsers and so-on, I couldn’t get them to load. There was an email address linked to the post, however, and so I sent off a polite request that the images might be made available for the display. The response couldn’t have been more generous and wonderful copies of these along with photographs of Edwin’s parents and a transcription of the letter were Air Mailed to me – all the way from Vancouver in Canada! I didn’t think my quest could get any better, and it couldn’t really. But the cherry to go on top of the icing on the cake appeared as if by accident. 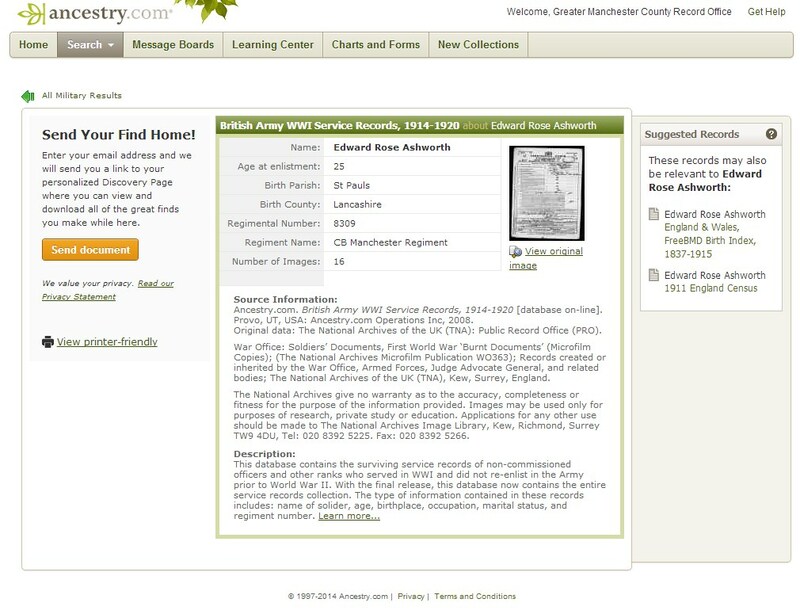 After everything else I’d found without heretofore unearthing this: his Military Service Record, of which, only about 40% had survived the Blitz during WW2. But there it was, partially burnt but otherwise scanned in full. I now knew the date he enlisted, his physical characteristics when he enlisted, his exact age at that time, his trade, his disciplinary record whilst in service, details of injuries he had, dates he was in hospital, information about a visit home, the facts and dates of his transfer to the Machine Gun Corps and his promotion to 2nd Lieutenant – fantastic! 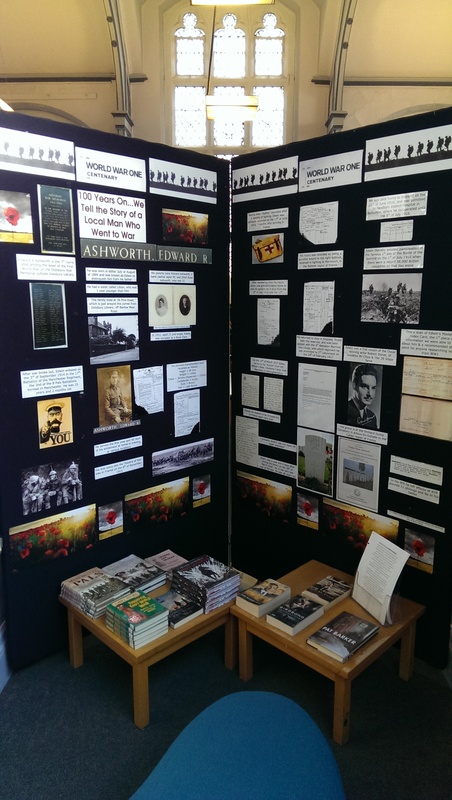 The long and short of all of this is that I managed to create a pretty good display that has created a lot of interest. To be able to put a face and so many other details to one of the names etched in stone outside the library has made history really come alive for me, and hopefully the people of Didsbury too. I’ve done a bit of research on Cheadle Hulme School (WACOS) Memorial. I can see you have the same bug!! Have replied below, posted it in the wrong bit! Well done Keith, this is a fantastic piece of research! I’ve walked past the memorial so many times and wondered who those men were … now I feel I ‘know’ one of them. Thank you! 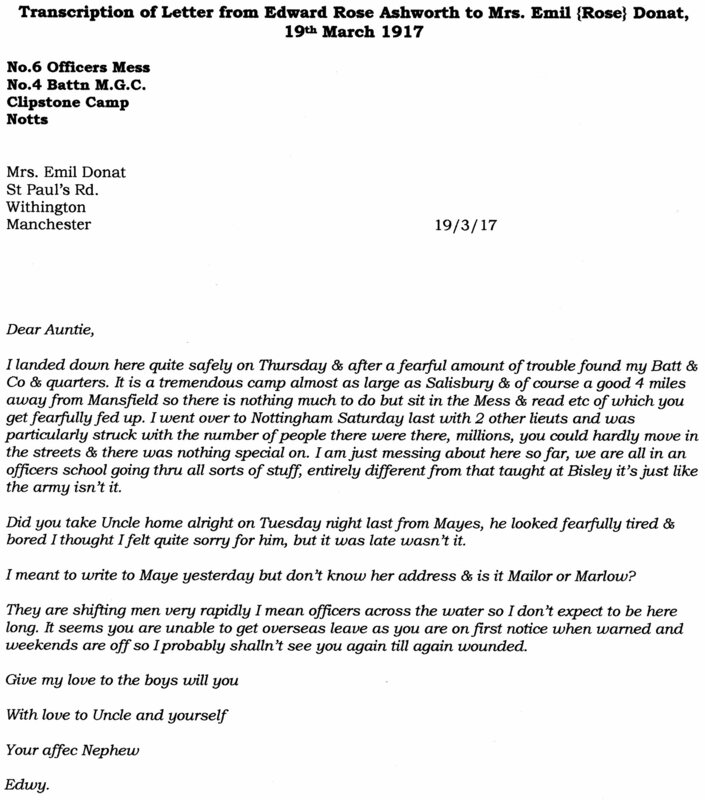 Thanks very much Helen, this is great feedback. Fantastic! It’s fine by me to re-post the photo and I’m sure the family member I’ve been in contact with won’t mind either. I’ll be studying the faces of the platoon members intently to find a match. It’s definitely a bug once it takes hold all this! This was mean’t as a reply to 8055bell’s post above. Doh! Hi Gill, that’s great. I’d love to do a piece for the RD site. Nicky Crewe, who posts a lot of the entries on this site would be a good person for you to speak to about women’s war work, I think. I am out of the office until tomorrow afternoon but could probably get you an email address then. Or you could try contacting her through the site. And I will be in touch about writing something. Many thanks & regards, Keith.